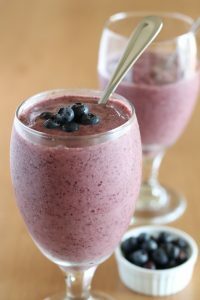 With a hand blender or in a blender, combine all ingredients and puree until smooth. Top with pumpkin seeds, blueberries, or chia seeds! Enjoy!